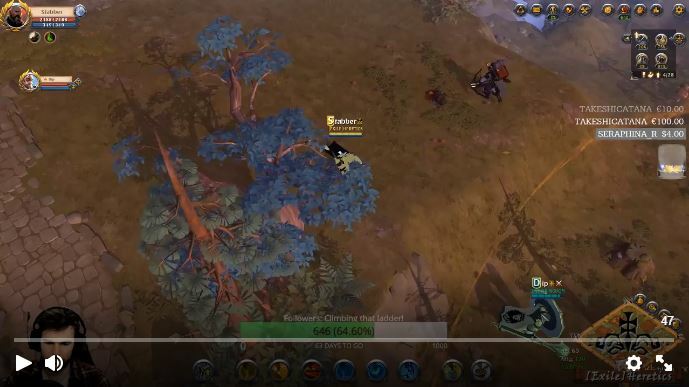 Our first-ever Streamer Spotlight features NomadPoncho, who brings finesse and spontaneity to on-air PvP. Over a year now, honestly I can’t remember exactly when I started. I had wanted to get into streaming for a while, and when I started I was more of a variety streamer, playing whatever game caught my eye. 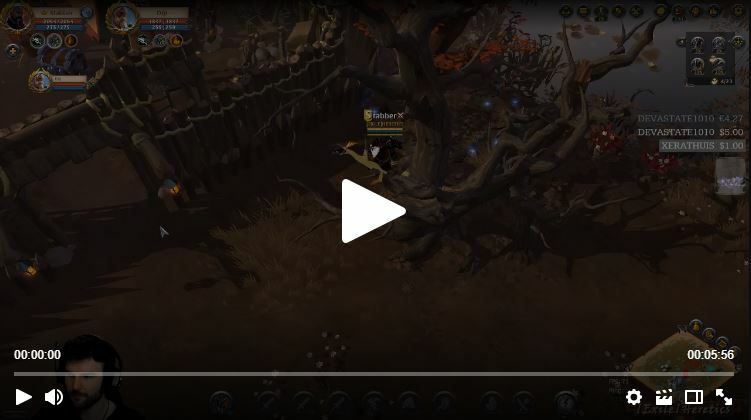 I had been playing Albion for a while however, and had got to a point where I felt I could share some fun content with viewers. 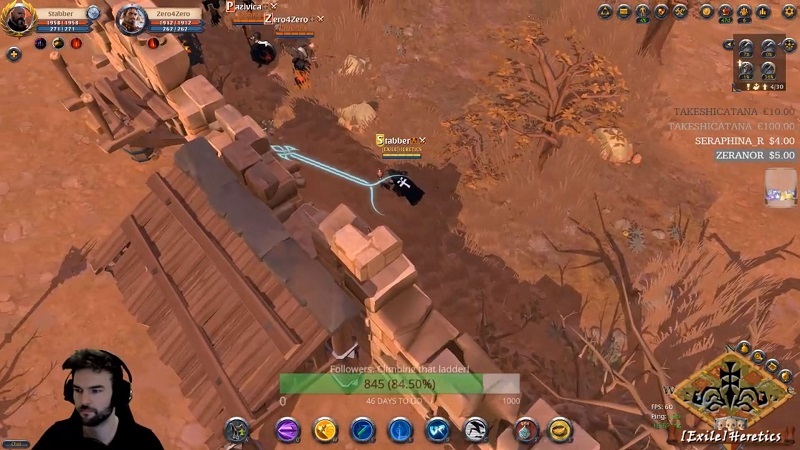 With there not being many solo streamers, and none broadcasting dagger antics at the time, I thought it was time to show people that a solo assassin-type playstyle was not only possible, but also a lot of fun, and incredibly versatile. 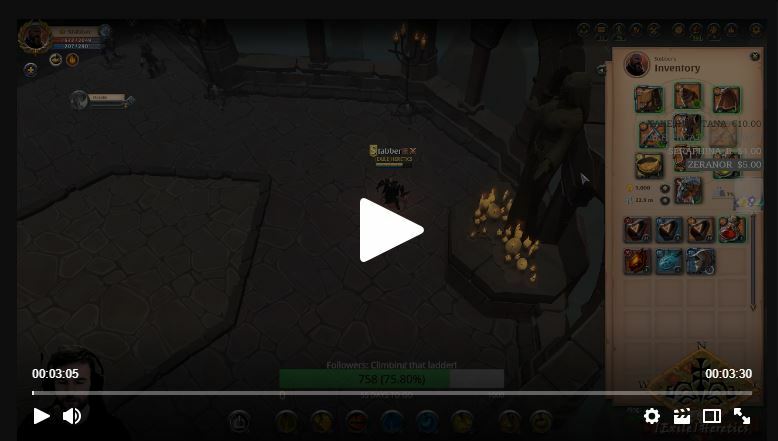 Streaming Albion is hard. It’s a full-loot MMO so there are always people watching who would prefer the easy path to content. I think that’s one of the main reasons we don’t have much streaming content that isn’t instanced. Given the advantage that knowledge and numbers bring, streaming simply puts you at too much of a disadvantage, leading many to stream other games instead, whilst allowing the Youtube scene to grow more prominently. I’m still here slugging it out, though. I enjoy the game, and the full-loot nature simply brings so much more intensity to the PvP compared to other MMOs. I think that’s one of the reasons it can be so enjoyable to watch these situations unfold live. Your recent streams have focused on small-group PvP in Hellgates and Black Zones. What is your general approach to streaming? Do you plan out activities in advance, or head out into the world and see what happens? My main aim is always to PvP. I solo a lot, and run smaller groups where possible. For me it feels a lot more skill-based, and decisions made in every second of the fight count much more than in larger-scale combat. Also, as someone who loves daggers so much, there just isn’t really an option for their use in large fights. I love running dagger pair in a group, and picking out a target to assassinate - it always feels amazing when I come out of stealth to do huge damage on a key role, such as the enemy team's healer. Mostly I just head out and let Albion do its thing. I don’t really play it safe. I feel the only way to get better is to take fights I don’t think I’ll win, and try to anyway, leading me to the point I'm at today: throwing myself into outnumbered fights, and often taking victory. 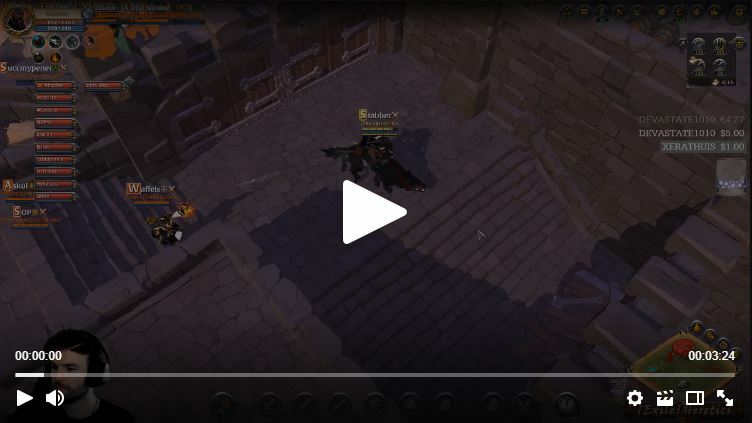 I want to start with some GvGs, and hope to help with the game's solo content by being an experienced player in this regard. Right now I’m mainly doing this through the Round Table, and anywhere else I can. Lack of solo content has, I feel, been a side effect of many of the recent patch changes, but it’s great to see SBI recognize this and take the time to discuss it. As hard as it often is, many players enjoy the challenge of solo and small-scale play. Be prepared to die a lot, haha. Have patience and learn the lessons to find what content you can and cannot stream. There are many ways I have found to keep yourself relatively safe whilst streaming, most of which I am planning on compiling into a Youtube video in the near future. I’ve streamed this game for a while, and played it for a whole lot longer. If you are a new Albion streamer, or thinking of starting to stream the game, feel free to drop me a message through my stream discord. I’m always happy to help anyone with getting set up. 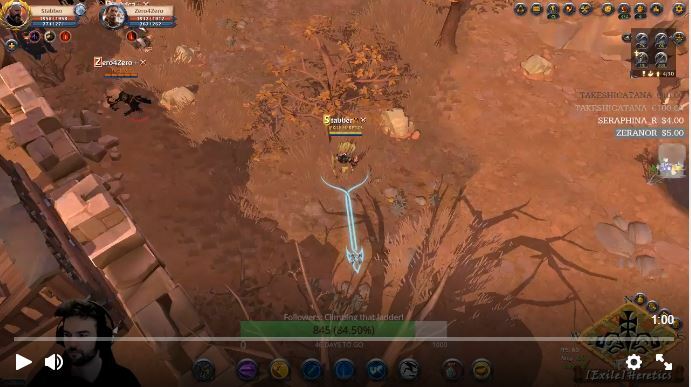 Also a message to would-be stream snipers: be kind to us Albion broadcasters ;) Twitch is a really good draw for new players into any game these days, and allowing them to get on with their content without interruption is a sure-fire way to get new players into the game. I myself have got many players into it and helped them with starting up, as have many of the others. Just keep that in mind before your next excursion into the day of someone who has taken the time to share the game with potential, new, and existing players alike. Enjoy the clips? Be sure to follow NomadPoncho on Twitch, and stay tuned for more upcoming Streamer Spotlights.